In the worldwide economic downturn, Spain — the world’s ninth-largest economy — provides a particularly dramatic example of dizzying rise and decline. One of the most vigorously growing economies in recent years, it had been projected to surpass Germany in per capita income by 2011. Much of this was based on the real-estate boom that has also been central to the global downturn. Industrial production in Spain is now down 25 per cent, bankruptcies have multiplied alarmingly, and unemployment has risen above 20 per cent. Faced with such a serious financial recession, how are the arts faring in a country where government funding has always played an important role in supporting the arts? And what of opera, that most expensive of art-forms, in this financial atmosphere? It turns out that the three leading opera companies seem to be following the principle that you don’t meet economic challenges effectively by reducing the quality of your offerings. We see a number of imaginative initiatives, not only involving “outreach” — a term the mere use of, sometimes is felt to get management off the hook — but also of responsiveness to changes in the expectations of the public. Barcelona’s Gran Teatre del Liceu, the grand old lady of opera on the peninsula, is behaving like a vital young organization on the make. Its trilingual Web site confronts you with three categories: Liceu, Petit Liceu, and Campus. We see a schedule of thirteen major operas on the main stage, but these are accompanied by concerts large and small, designed to enhance that repertory. These range from an imaginative presentation of Prokofiev’s Peter and the Wolf in connection with his less familiar (and far less cuddly) The Gambler. This season, the anti-war War Requiem is paired with Britten’s 1949 opera for children; it is sung by children with audience participation and concerned with solidarity between children of different social classes. This season they have cut back on supplemental events in the Foyer, but are even taking advantage of that reduced expenditure to broaden the program: in future seasons they aim at partnering with other institutions around the city with the prospect of moving the smaller concerts out of the Foyer and into further-flung venues — thus increasing both geographic dispersal and constituency. Most opera companies these days try do something for the kiddies, but the Liceu, with its integrated Petit Liceu, goes all-out. This season, besides Peter and the Wolf, there is an interactive show for children to explore the power of song in nature and in their own emotions; a “magic voyage through the world of opera”; a danced dramatization of a children’s story; and special children’s versions of The Magic Flute and Rossini’s Cinderella and Barber of Seville, adapted and directed by the popular Tricicle comedy team. Under Campus comes the Open Opera program, in which HD transmissions of Liceu productions go to universities, which incorporate them in their curriculum. Similarly ambitious is the Orchestra of the Academy, made up of young professional instrumentalists from all over Europe and providing major concerts, beside occupying the pit for some productions at the Liceu. If the Liceu is inclined to cut back on the richness of its offerings under economic stress, they are disguising it particularly well. 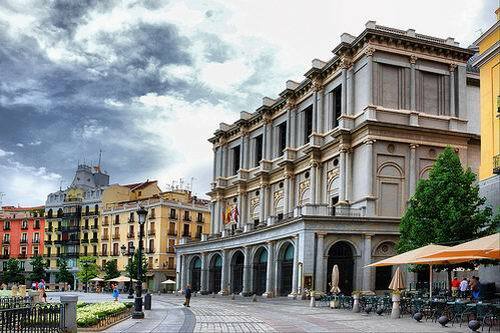 In Madrid, we find the revived Teatro Real— right across from the Royal Palace and, like the Liceu, receiving about half its income from the State — in evidently fine condition as well. The arrival of the always-newsworthy Gerard Mortier (lately of the Paris Opera) will be seen as a vote of confidence from abroad and of aspiration at home. As at Barcelona, we see that imagination is valued as much as funding — or one is perhaps seen as a prerequisite for the other. The Teatro Real is reaching out to a larger public by offering free tours (including backstage) late at night after a performance and presenting a course for elementary-school teachers all over Spain called Opera: A Vehicle for Instruction. In addition, significant discounts on tickets are available to those age 26 years or less. All this outreach is justified by a pretty impressive repertory: fifteen operas interspersed with filmed operas, guest concerts and dance troupes. Having looked at an old house with a continuous tradition (Barcelona) and at what is essentially a new company in a historic opera house (Madrid), many of us will be particularly interested to see what an entirely new establishment in a spectacular new arts complex is up to. 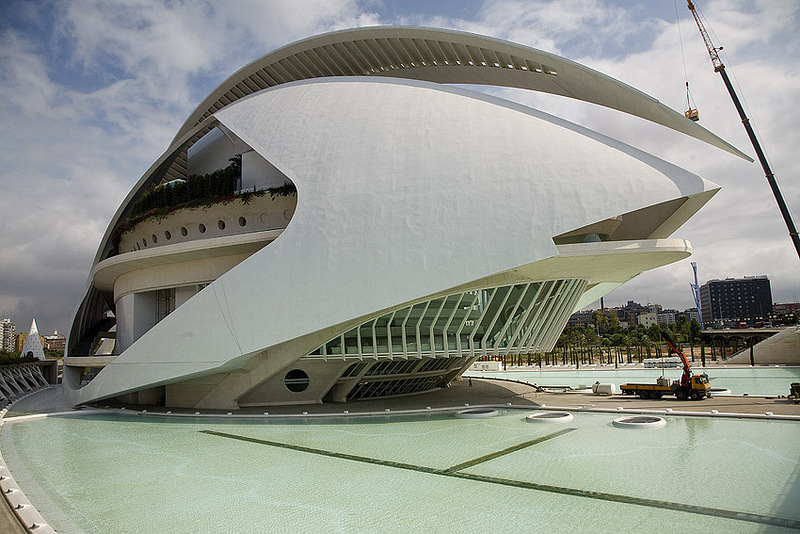 Valencia’s Palau de les Arts Reina Sofía, whose music director Lorin Maazel until this season headed the New York Philharmonic, is not stepping shyly into the operatic limelight. After last season’s complete Ring cycle (conducted by Zubin Mehta and staged by La Fura dels Baus in a coproduction with the Maggio Musicale Fiorentino and recorded in HD), supplemented by related concerts, this season’s varied offerings started off with a much-talked-about run of Les Troyens in a production by La Fura dels Baus, conducted by Valery Gergiev (coproduced with the Mariinsky Theater and Teatr Wielki). Significantly, productions from the Palau are being used extensively by other companies, including the Los Angeles Opera. 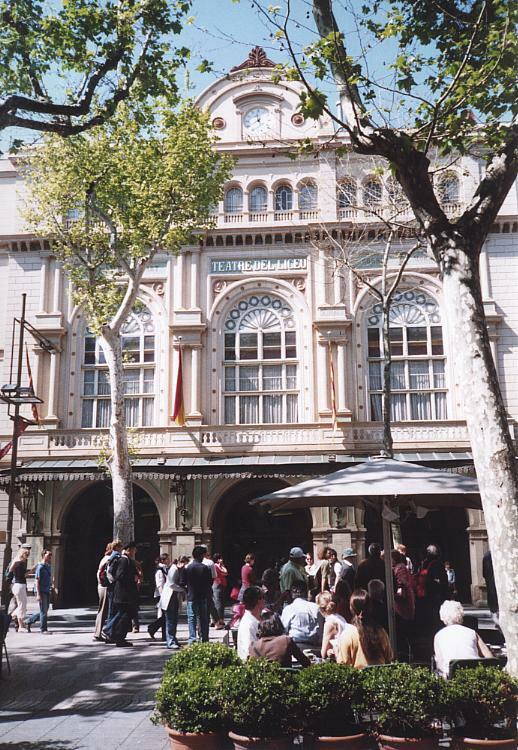 In June, after the end of the opera season, they celebrate the Festival del Mediterrani, which is also supervised by Mehta and includes three more operas. This is much more a multi-use house than the other two and, as might be expected in a younger company, the overtly educational efforts are more limited — though Valencia is clearly serious about their young-artists program, putting it in the hands of none other than Plácido Domingo. It will be an interesting situation to watch. It appears that in Spain, the more established a company is, the less it depends on sheer monetary power. A new company understandably must rely on basic funding to set itself up as a formidable musical and dramatic presence, whereas the confident historic house becomes a fountain of imaginative and sometimes outrageous productions, matched with venturesome outreach efforts — initiatives that are not just pasted on or opportunistic but are true to its main product. It would appear that the amounts of money available from struggling central and local government will not be the whole story for these companies. Both those in countries with a history of massive governmental support and those that have long depended on private funding may find much to learn from what happens in Spain. Already they provide an object lesson in how artistic and marketing ventures that are intimately connected can construct a unified front for an organization. This can happen only when both spring from the same vision and process. Such an approach clearly holds great promise for non-profit arts in societies today. Roger Evans wrote a version of this article for the DCM newsletter.